PM Netanyahu demands international community condemn Palestinian Authority, says authorities are preparing to demolish terrorists' homes. 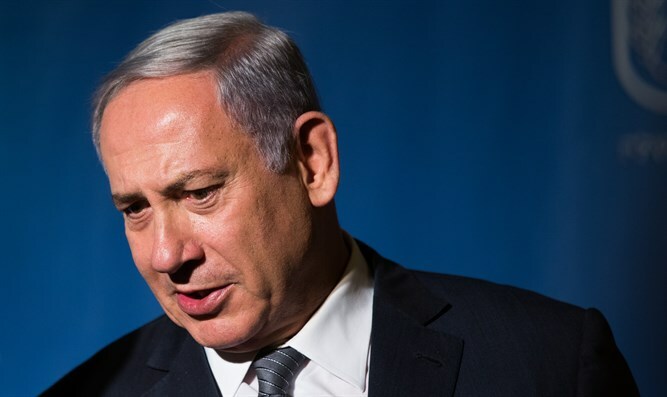 Israeli Prime Minister Binyjamin Netanyahu spoke at the Cabinet meeting on Sunday morning about the terror attack which killed Border Police officer Hadas Malka on Friday. "On behalf of the Government and the nation, I would like to send condolences from the depths of my heart to the family of Border Police fighter, the late Hadas Malka," Netanyahu said. "Their grief is our grief; their sorrow is that of the entire nation." "Hadas was a young person and full of life. She was imbued with a sense of mission in defending the State of Israel. Her commanders and those under her command loved her and trusted her. "Like her comrade-in-arms, the late Hadar Cohen, she fell in the line of duty in a determined struggle against bloodthirsty terrorists. "Hadas and Hadar, who were 'pleasant in their lives, were not separated in death' (a quote from David's elegy for Saul, ed.). They will remain linked forever in their heroism and their sacrifice on behalf of the nation and the state. "Since Friday, the security forces have been operating in the district of the terrorists' village and are preparing to demolish their homes. "We have revoked Palestinians' visits in Israel that we approved for Ramadan and I have instructed the police to reinforce security arrangements and checking procedures in the plaza around Damascus Gate. "Instead of condemning the attack, Fatah – which is headed by Abu Mazen (Palestinian Authority Chairman Mahmoud Abbas, ed.) – issued a statement in which it condemns the Border Police fighters who killed the terrorists, and describes the murderers as heroes. "It seems that mendacity and brazen gall know no bounds. Of course, the Palestinian Authority is refusing to condemn the murder and the same Authority will now pay financial compensation to the murderers' families. "I call on the countries of the world to condemn both the murder and those who praise it, and demand the immediate cessation of Palestinian Authority payments to the families of terrorists, something that only encourages terror."